Posts may contain affiliate links, meaning that I may earn a commission if you use a link provided. 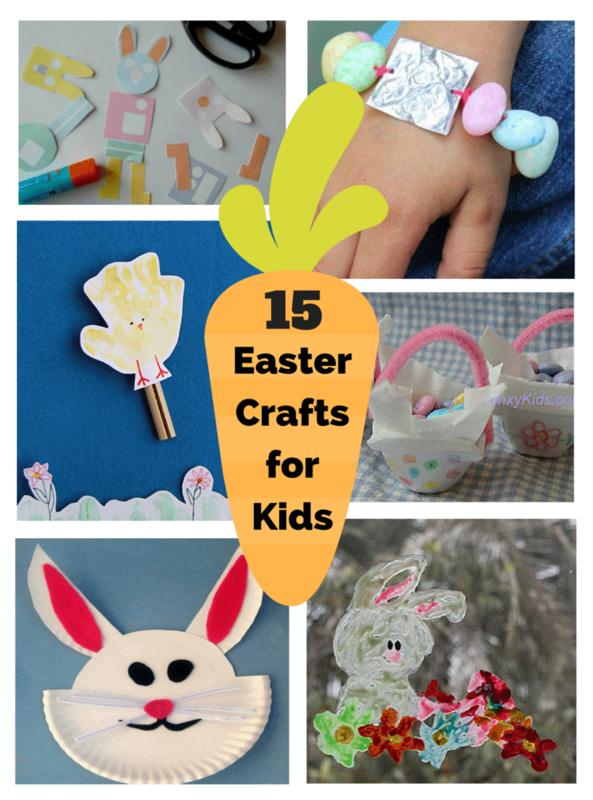 With Easter just a few days away, what better time to enjoy some Easter crafts with the kids? Below you will find 15 egg-cellent Easter crafts for kids that are perfect for Easter weekend. From bunnies to chicks to carrots, you will find everything Easter themed in the crafts listed below. Many of the crafts can be made using item you can find around the house, such as paper plates, q-tips, and aluminum foil. Other projects you may need to pick up some supplies at the store, so be sure to plan ahead. Enjoy these adorable Easter crafts and have a very happy Easter! If you are looking for some delicious dessert ideas for Sunday, check out these 27 Adorable Easter Dessert Ideas as well. All of these Easter crafts are adorable! Even though they are geared towards toddlers, I can totally see my 9yo crafter having fun with some of these. Thanks for sharing them! These would of been fun for my grandkids. Maybe next year. These are so cute! I’ll have to save this page for next year! i am sure small kids would really enjoy making them!! I remember my kids coming home from daycare with similar crafts. Seeing these crafts here make me wax nostalgic!